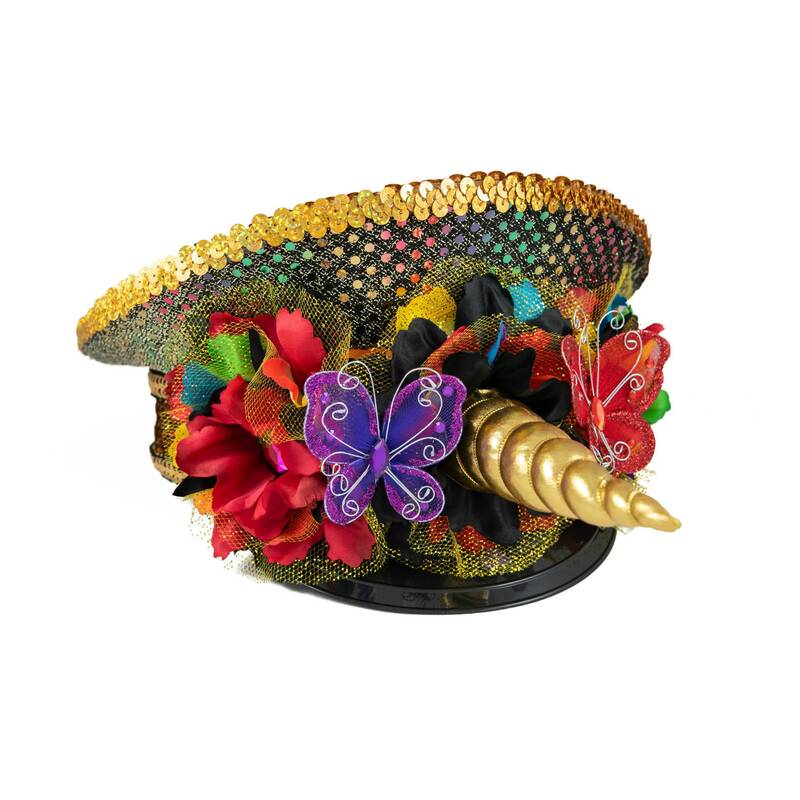 You will look like the most amazing unicorn when wearing this original Kitty Katrina design - our Rainbow Unicorn Captain's Hat! 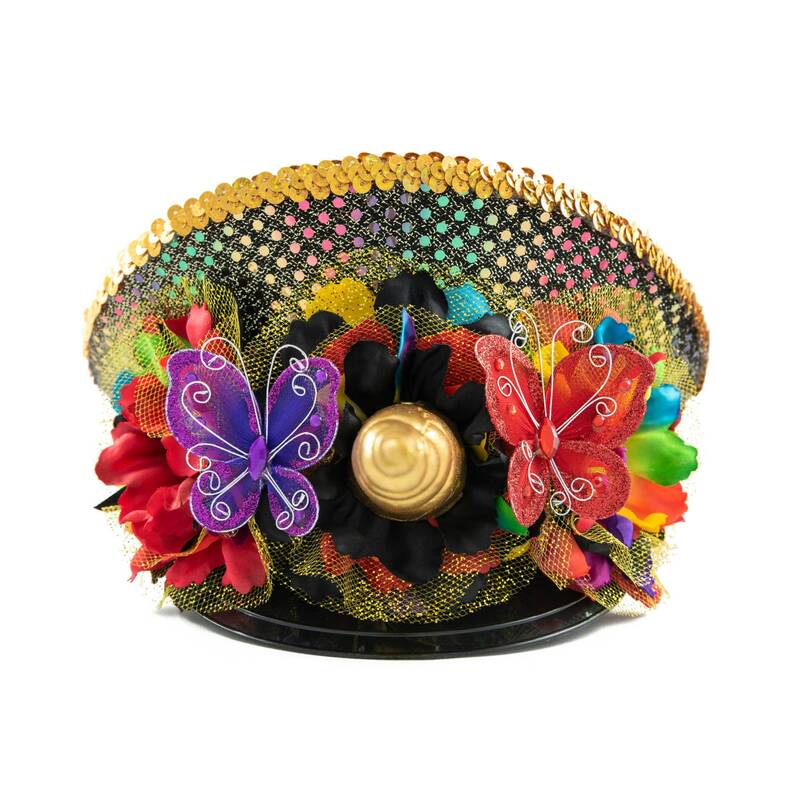 This hat features handmade, silk rainbow / black / red / sparkling tulle flowers accented with sparkling rainbow rhinestones; large purple / red rhinestone butterflies, and a gold unicorn horn. 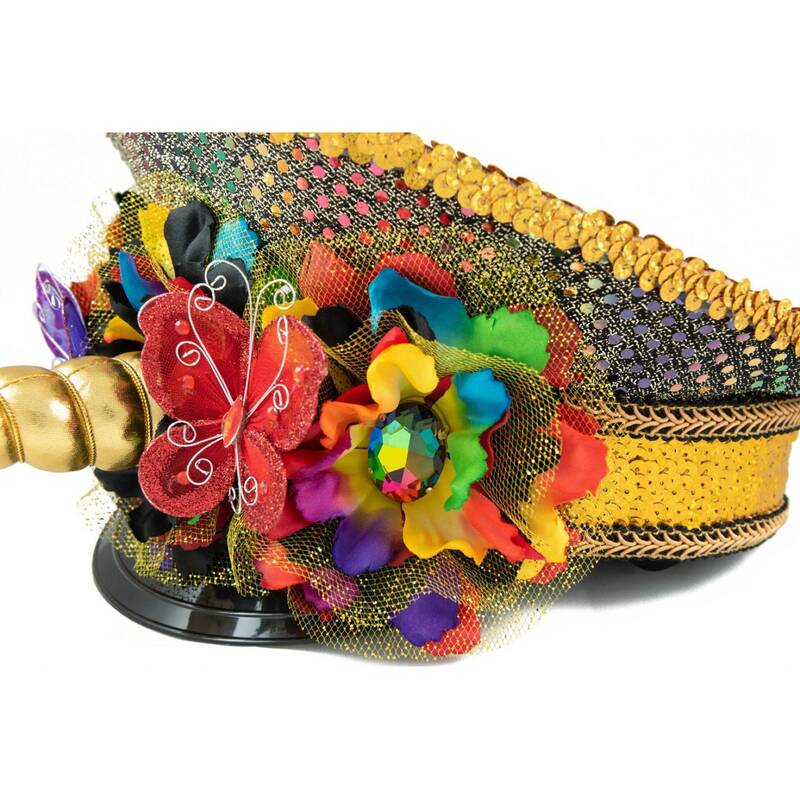 The hat is professionally lined with rainbow sequin fabric and holographic gold / black / gold trim. This is truly a magical piece that will bring out your inner unicorn, and is perfect to complete your festival / rave outfit or costume. Product Details: 1 Hat is included in this purchase. Hat fits most head sizes, including both women and men. 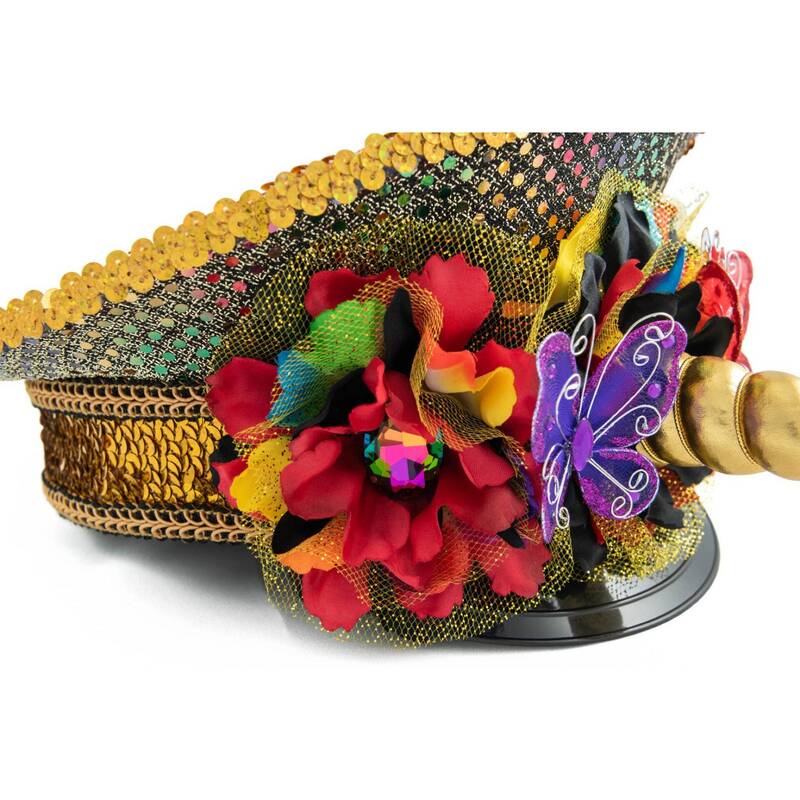 The base of the hat (where you put the hat on your head) is approximately 8 inches wide, 8 inches long and 3 inches tall. Hat can be worn at several angles on the head to fit comfortably, for example, directly on top of the head or slightly off towards the back of the head (see images of hat on model). 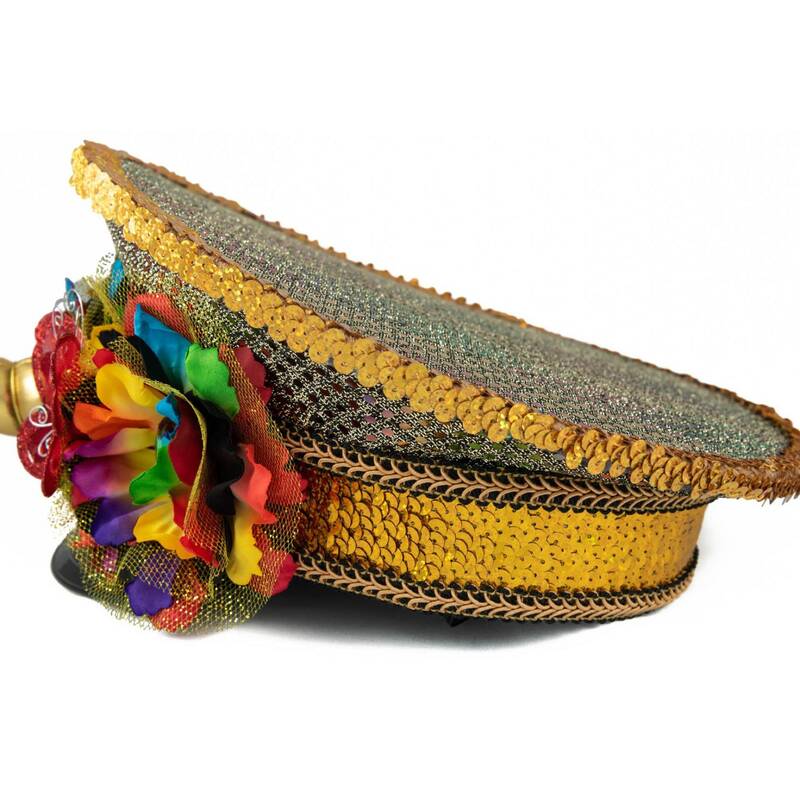 Hat includes an elastic band that can be worn under the chin for additional hold. The plush unicorn horn is approximately 5 inches long. 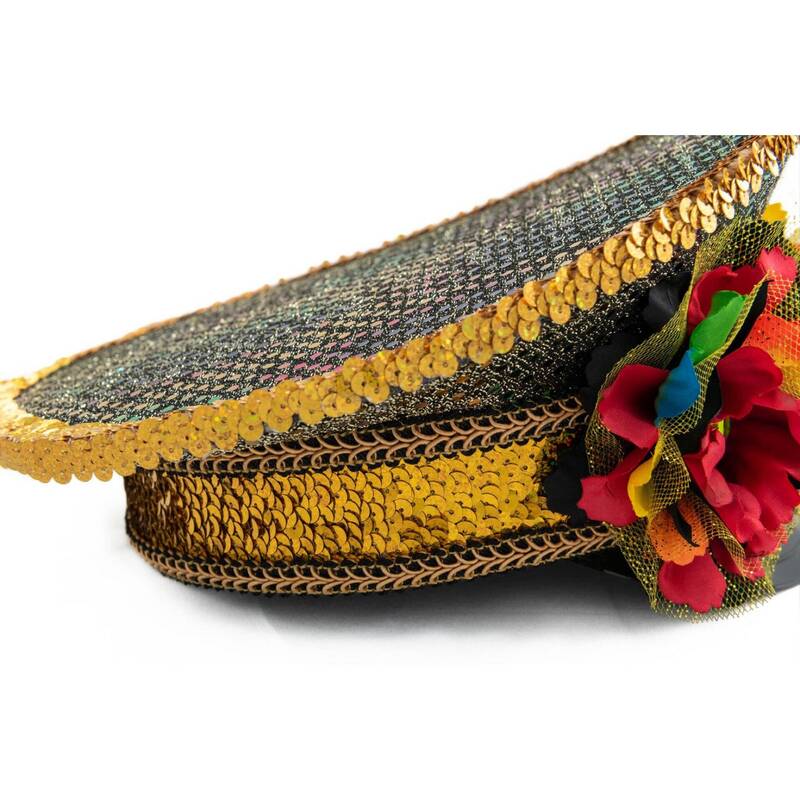 Care Instructions: Hat fabrics should be treated with care to avoid snagging. Hat is for costume use only and is not designed to shield individuals from inclement weather. 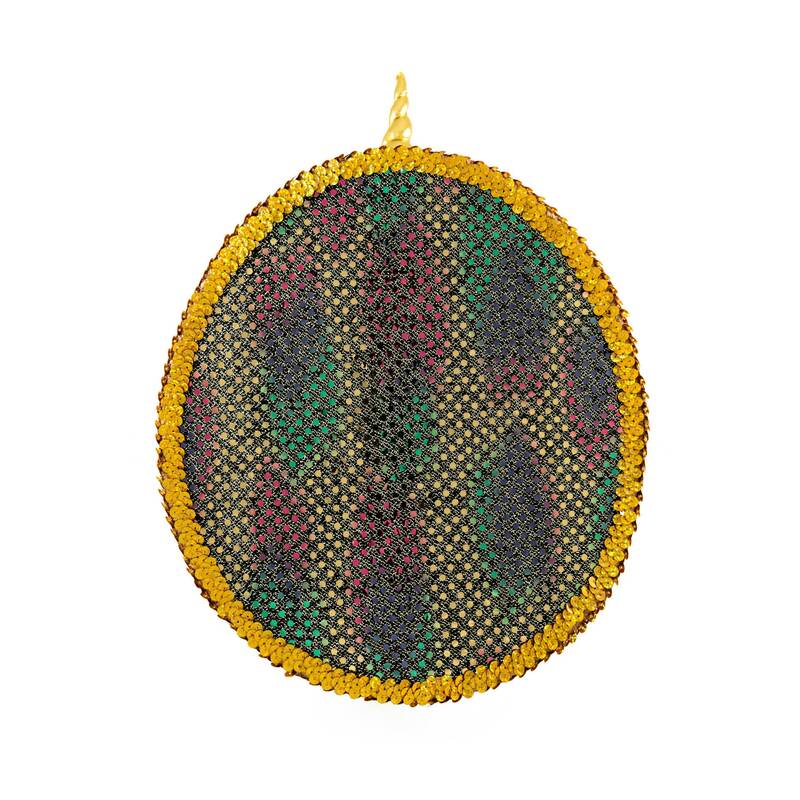 Use a soft towel to gently wipe away any dirt / debris when necessary. The plush unicorn horn is made from fabric / stuffing, which can be easily re-shaped with your fingers if it bends during shipment / packing / traveling. Processing / Shipping: This is a handmade item and takes 5-7 Business Days to process / complete BEFORE shipping occurs (excluding Weekends and U.S. Federal Holidays). We cannot accept "rush orders" for this item. Item will be shipped using USPS Priority Shipping. U.S. Buyers will also receive insurance against loss / damage with their shipment.